Many gamblers enjoy playing craps online. When using an online casino, you can play at your own pace from the comfort of your sofa and you don’t even need to get dressed! However, some players avoid online craps because they’ve heard negative rumours about the game. While most of these are untrue, they can quickly put you off the game if you are unsure. Thankfully, we are here to help. In this article, we explore the biggest lies about online craps. One of the biggest lies about online craps is that it’s difficult to learn. Many people claim that online craps is more confusing than the land-based version because the game board is smaller. Instead of viewing the full board, when playing online craps you see a computer-generated board. Some players claim that this makes it hard to see the bets. It’s true that the online craps board is smaller, but that doesn’t make it more difficult to learn. In fact, many players report that craps is easier to learn online as the game guides you through the rules. When playing craps online, the software teaches you where to place chips and make your bets, which is ideal for beginners who don’t understand the rules. As ‘Odds’ wagers don’t carry a house edge, most gamblers regard them as the best bet in craps. 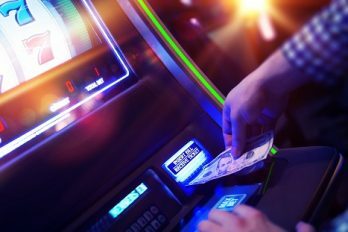 When using a brick-and-mortar casino, you can make a pass line or don’t pass line bet with odds – providing that a point number has been established. Unlike regular bets, odds won’t be listed on the table. To use them you must wait for a point number to be established and let the dealers know you’re using one. As odds don’t carry a house edge, avid gamblers use them whenever they can. So when people hear that you can’t make odds wagers online, it’s no surprise that it puts them off. However, some online casinos do offer odds in their craps games. Many providers allow you to use odds wagers when playing online, so you just need to know where to play! Providers such as Playtech and Betsoft offer up to 3x odds online, which is the same as most land-based establishments. While online craps doesn’t offer the same atmosphere as the live table-game, it’s far from boring. In a land-based establishment, the craps table is crowded with players making their bets. The atmosphere is created from players celebrating their wins and jeering their losses. While this team-like atmosphere cannot be replaced, online craps has come a long way in the last few years. When playing online craps, you’re always the one rolling the dice. Even though the dice isn’t physical, you still get the same excite-ment with each roll. Many online casinos now offer live versions of the game. Streamed from a brick-and-mortar casino, live craps is the closest you can get to the real thing. Many gamblers believe that online casinos offer a lower house edge than land-based establishments. To a certain extent, this theory is true. There are a few games that have a lower house edge when playing online. For instance, land-based slots have an 8% average house edge, while online slots have a 5% aver-age. The same rules apply to blackjack and roulette, too. Land-based blackjack has a 1.5% average, while online blackjack has an average of 0.5%. Land-based roulette has an average of 6%, while online roulette has a 3% average. However, just because certain online games have a lower house edge, that doesn’t mean that every game does. 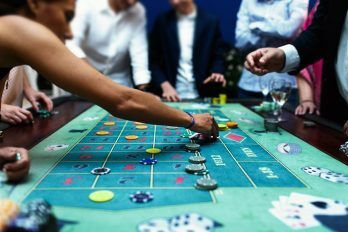 When playing craps, you are just as likely to win at a brick-and-mortar casino as you are when playing online. This is because both casinos offer the same odds on every bet, regardless of whether you’re playing online or in-house. Some gamblers feel more comfortable using a land-based casino, as the game is played directly in front of them. When playing online, you can’t watch the outcome like you can in-house. Because of this, some players believe that online casinos aren’t as fair as their land-based counterparts. However, this is not the case. Online casinos use random number generators to determine the results which offer the same odds as you’d get when playing in-house. When playing craps at a physical casino, your chances of rolling a 9 are 9:1. To ensure that online craps is fair, the random number generator is programmed to offer the exact same odds. 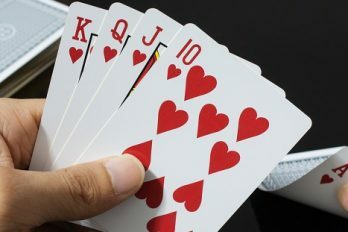 Although there is no proof that online casinos use random number generators, they would lose their license in days if they weren’t abiding by the rules. Whether you’re an avid craps player or a complete beginner, online craps can be enjoyed by gamblers of all sorts. If you enjoy gambling independently, online casinos offer the perfect set up. If you’re worried about missing the land-based atmosphere – don’t panic! Many online casinos now offer live games. Streamed from a brick-and-mortar casino, live games are the closest you can get to the real thing. As online casinos rise in popularity, new betting sites are popping up every day. While this gives you a wide range of options, it can be difficult to decide which one to go for. Thankfully, we are here to help. At casinobet.com, we review a wide range of casinos and games to help you decide on the best one to play at. Better still, we take into account any special offers or promotions to ensure you get the most for your money!